The Latvian company OSC built the world's first electric-drive 4x4 off-road rally car in just 9 months leading up to the rally. It was based on the company's well established OSCar contender with the new eO brand name denoting the revolutionary electric drivetrain. A series hybrid configuration was chosen as the most appropriate for the rally. A single 335 kW / 800 Nm permanent magnet electric motor was coupled directly to a 6-speed transmission which produced enough torque to negotiate the huge sand dunes as well as allowing a satisfactory maximum speed of 120 km/h on off-road terrain. A 60 kW range extender was in constant operation during the rally to maintain the charge level of the 52 kWh Li-ion battery pack from Winston Battery. Range extender's petrol tank was sized at 240 litres, giving the overall autonomy of up to 1000 km. The team recorded a 50% reduction in fuel consumption relative to the conventionally powered rally-raid cars. A significant contributor to this economy was the regenerative braking function of the electric motor, operated by a dedicated hand-lever in the cockpit. Finishing the last stage of the rally, Maris Saukans, the project initiator and OSCar eO pilot, said: "This is a great achievement for the whole team and is likely to have implications on a global scale. Motorsport has once again successfully demonstrated new applications of alternative energies and has identified new directions for development." Andris Dambis, the technical director and OSCar eO co-driver, agreed: "This is a new highlight in my motorsport engineering career. I am excited to be leading such a rapid development of the future technologies." For more attend Electric Vehicles Land Sea Air USA 2012 ,where uniquely we reflect the new realities that there are now six key enabling technologies and they are competing in all forms of EV, hybrid, pure electric and land, water and airborne, manned and unmanned. Speakers from ten countries detail the situation in their parts of the world including SYNPER 3 from Singapore, first to fly an electric helicopter recently, showing how up to 35% of helicopter crashes could be avoided with hybrid electric technology. Sun Yat-Sen University China and Germany Trade & Invest detail their national situations. Next generation batteries are covered by Robert Bosch (Bosch Group) of Germany, Oxis Energy UK, IBM USA and others. OLEV Technologies will show how to continuously pick up power, Schneider Electric of France how modern charging infrastructure is a system not boxes. There will be two presentations on supercapacitor breakthroughs - here is the future. 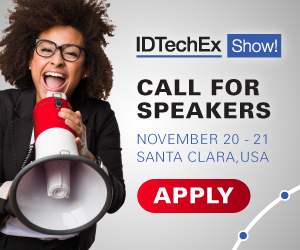 See the full picture, with best-in-class speakers from across the whole world - Slovenia to Gibraltar, China to Canada, each carefully chosen by IDTechEx because of their leadership. There are two presentations on agricultural EVs and five on electric aircraft including Boeing and Airbus involvement. Other presenters include BMW (cars etc), Mitsubishi Motors (small commercial vehicles and cars), Daimler AG (commercial and military vehicles and cars) and Toyota (leader in electric forklifts, electric cars and buses but also presenting on its fuel cell vehicle program.) Uniquely, a large number of electric vehicle manufacturers not seen in conventional EV events will present including iRobot Corporation Autonomous Underwater Vehicles AUVs (better known for EVs as robot vacuum cleaners). Mission Motors and two others focus on electric motor cycles. Many manufacturers of industrial, commercial, military, cars and other EVs will be there. Come to this event where you avoid the usual speakers with nothing new to say and meet people new and useful to you without doing a lot of travelling to find them. Apply for an award. Also read Range Extenders for Electric Vehicles 2012-2022, Hybrid and Pure Electric Cars 2012-2022 and Electric Vehicle Industry Profitability 2012 - Where, Why, What Next.